cupcakes | ...and another cup of coffee. This recipe is one of my family and friends new favorites! Yes, it is that good! 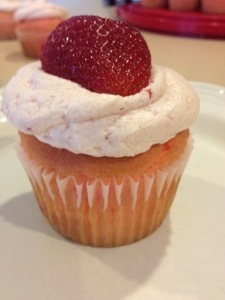 Especially the frosting is light and fluffy with out being overly sweet and you can taste the fresh strawberry flavor. 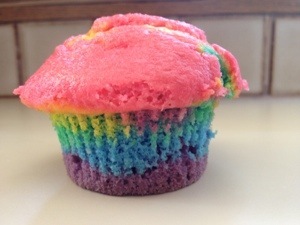 I used a box of Strawberry moist cake mix! I made the cupcakes according to the box but I did add about 1/3 cup of fresh diced strawberries to the mix to give it a little more flavor. Place all of the ingredients in the bowl of a stand mixer. Beat until well incorporated and the frosting is light and fluffy, approximately 3 to 4 minutes. 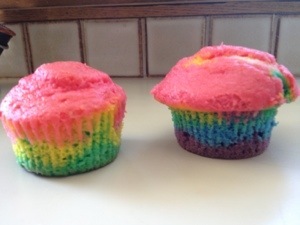 Frost cupcakes when they have cooled completely and top, if you like, with half a fresh cut strawberry. Enjoy!